unknown BAKER b. m. (2) none d.
Mary Ann was thirteen when she was arrested on 13 February 1871, by constable BULLA of Goulburn Police34 as she had been living with thieves. She appeared in Goulburn Police Court on 14 February 1871, charged with vagrancy. BULLA stated that Mary Ann had told him that her father, James, had turned her out of the house three days earlier and that she had slept in a cart the night before. James denied this, stating the Mary Ann had left home again nearly a week ago. She often didn’t come home, mixed with bad characters and that morning he had found her at McKAY's place.35 This was almost without doubt a reference to Thomas McKAY, the 'step-father' of Margaret DONOVAN, whose house was considered a 'depot for all notoriously bad characters in town. '36 Mary Ann was recorded in the Goulburn Evening Penny Post as Ann NOWLAN.37 James's servant was reported in this article to have been instructed not to lock Mary Ann out of the house but to restrict her movements within the house as she had previously robbed her father. Details of Mary Ann's family, discharge, education and religion appear in the missing section of the Entrance Book so nothing can be confirmed about her family from this source. 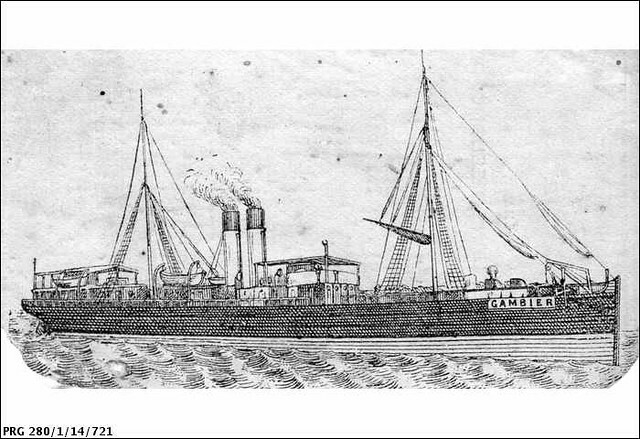 She was admitted to Newcastle from Goulburn on 21 February 1871. Three months later, in May 1871, Mary Ann transferred to Biloela on Cockatoo Island with the school and was recorded as 'In the Institution' on the April 1872 list compiled by LUCAS.38 In his report of 27 May 1872, shortly after this list was compiled, LUCAS indicated that Mary Ann had been discharged from Biloela as an apprentice to Mr Peter THOMPSON of Packer's Hill, Campbelltown.39 No further details have yet been found outlining any terms of this apprenticeship but it is likely that the length of her indenture was was for a period of about three years as Mary Ann would have turned 18 in 1875. No information has been identified concerning whether this apprenticeship was completed. Mary Ann was married to Albert Edward DAVIDSON of Redfern on 11 January 1883, at St. Michael's Church of England, Surry Hills, by Hulton Smyth KING.40 The witnesses to the marriage were Eva BARNES and Mary Ann's brother, James Alexander NOWLAN, recorded, and known as, Alexander. The marriage announcement identified her as the eldest daughter of James NOWLAN, cordial manufacturer, of Goulburn.41 The registration confirmed that her parents were James NOWLAN and Emma BROWN. Albert DAVIDSON's death was registered in Ryde in 192652 and his death was confirmed by researchers of his extended family.53 It is unknown whether he remarried after Mary Ann's death. Note Mary Ann did not make an earlier marriage in 1875 in Sydney to John DOUGLAS. Mary Ann’s court appearance identified her father and her marriage identified her parents. Her parents were married as James NEWLAND and Emma BROWN by the Baptist Minister, Henry DOWLING, at the residence of Mr SMITH, Charles Street, Launceston, Tasmania, on 7 November 1854. James was described as a tradesman and Emma was a spinster. The witnesses were George and Elizabeth SMITH.54 There was no permission to marry for this couple indicating that by this date they were either both free or they had arrived free. Births were registered to James and Emma in NSW as both NEWLAND and NOWLAN. Mary Ann’s birth was recorded in Chippendale in 1857 as Mary Ann NEWLAND.55 She had been born in 21 December 1856, and was baptized by G. KEMP on 18 February 1857. Her father was recorded as a dealer and the family lived in Newtown.56 The birth of Mary's brother, William NEWLAND, was registered in Goulburn in 1862 but all other children were recorded with the surname NOWLAN. Because James first married as James NEWLAND and his first and third children were recorded with the name NEWLAND, it is considered more likely that this surname was his arrival name. There has been no confirmation of his identity although clues were outlined in his obituary. He had been born in London, England, and had arrived in Tasmania in about 1847. He had been married twice.57 At the time of Mary Ann's arrest, James was operating a cordial manufacturing business in Goulburn and advertisements for his business located his house in Clifford Street, Goulburn.58 This business was advertised for sale in August 1874, however he was still advertising the business in 1894 and was made bankrupt in 1895. It is unknown whether James and his first wife, Emma, separated or if she died but no reference to her was made at the time of Mary Ann's arrest. Emma and James were still living together in 1865 when their daughter, Emma, died.59 It is very likely that the relationship between Emma and James NOWLAN did not continue after 1866. In Sydney in 1871, James made a second marriage to Margaret LEONARD. This registration hasn't been viewed. The funeral notice for their son, Joseph, confirmed Margaret's name.60 James NOWLAN died at the age of ninety on 29 June 1909, in Newtown, Sydney.61 No death registration for James has yet been located. It is possible, but it has not been investigated, that James was connected to the Edward NOWLAN who also lived in the Goulburn area. Mary Ann's mother, Emma BROWN, had been born in about 1833. Emma's parents were David and Mary BROWN who in 1863 were alive and living in Pewsey, Wiltshire.62 It is almost certain that Emma was recorded on the 1841 census returns as seven-year-old, Amy BROWN, and in 1851C as 16-year-old, Amey BROWN. Amy was missing from the family on the 1861 census. Although she married in Tasmania, no confirmation of an arrival in Tasmania has been found and no appropriate convict has yet been identified. It is thought that Emma had arrived as a free woman sometime between 1852 and 1853. In September 1866 Emma's brother, John BROWN, appeared in court after committing a serious assault upon her.63 John was subsequently identified in gaol records as having been born in Wiltshire, England, in about 1838. He was a wheelwright. He stated that he had arrived in 1863 aboard the Hotchpot.64 No reference to any ship named the Hotchpot can be identified in any newspaper reports on Trove or in Mariners and Ships in Australian Waters. This was either a deliberately incorrect statement or he was referring to or understood to say the Hotspur. A birth location of Wiltshire would probably be harder to get wrong and does narrow down the location of birth for Emma. John BROWN, a carpenter from Pevensey or Pewsey, Wiltshire, born in about 1838, arrived on the Hotspur with his wife, Prisallas aka Priscilla, in 1863. With them was John's sister, Caroline BROWN. The indent identified that this was Emma's brother as his sister, Emma, was named and their sponsor was James NOWLAN.65 Caroline's details on the indent identified that her brother, William, and her two sisters, Emma and Matilda, were all residing in Goulburn. Caroline married Charles BOOTH in 1866.66 and died in Sydney in 1927 at the age of 87.67 Matilda BROWN was quite a bit older than her sisters having been born in about 1819 and having arrived as an assisted immigrant into NSW aboard the Lady Raffles in 1839.68 John, William, Matilda and Caroline's parents were all confirmed as David and Mary BROWN who were still alive and living in Pewsey, Wiltshire, in 1863.69 The 1841C and 1851C show John and Caroline and their parents and sister, Amy, were living in Pewsey. Only John was with his parents in 1861. Priscilla died in 1898 and the probate jurisdiction of her will identified that John was still alive. He was described as a gentleman.70 The last appearance yet found for Emma on Trove was in the assault in September 1866. Three women named Emma BROWN were transported. The Emma BROWN who arrived on the Royal Admiral in 1842 was born in about 1822. The Emma transported on the Lloyds in 1845 was born in about 1825. Neither were born in Wiltshire and both were too old. No convict named Emma or Amy BROWN arrived in Tasmania between 1851 and 1854, the year Emma BROWN married James NEWLAND. Unless Emma married and arrived under a married name she cannot be a convict and no convict named Emma arrived between 1851 and 1853 who had been born in Wiltshire. No convict named Amy arrived in Tasmania between 1851 and 1854. A Miss Fanny BROWN and a Miss Emma BROWN arrived in Tasmania aboard the Tasmania in March 1853.71 An Emma BROWN arrived in Melbourne on 29 April 1853, aboard the Emigrant but it cannot be ascertained whether this was her as she appeared on an alphabetical indent below a Samuel BROWN so it is unclear whether this was a couple or two separate arrivals. No death for Emma has been identified. It is considered unlikely that Emma was the Emma BROWN, a widow, who died in Goulburn in 1895. This woman's father was recorded as William but her mother was unknown. Her will identified that an Alice BROWN was the executrix72 but an appropriate family has not been located. The following information has been left to avoid repeating the research and so readers are aware that the following men have been considered. A Tasmania marriage does not necessarily mean that James had been transported but it is considered possible that this may have been the case. While it is believed that his arrival surname was likely to be NEWLAND, James was very unlikely to have been the man who had been transported for seven years from London aboard the Sir George Seymour on 27 February 1845, as this man was too old. Even though ages at this time can be quite inaccurate, had this man been the father of the Newcastle admission he would have been almost 100 when he died in NSW in 1909 and this is considered very unlikely. This James NEWLAND had been found guilty of receiving and had been tried at the Old Bailey on 28 November 1842.73 His conduct report indicated that he was a Protestant and had been born in Mile End, London, in about 1807. He had left a first wife in England. It may be that this woman was Mary Ann JEFFERY as her marriage to James NEWLAND in London occurred on 20 June 1842, prior to his trial for receiving. On this marriage record James signed and was recorded as of full age74 and this woman has been attributed as the wife of this transportee. This James received his ToL in Tasmania on 9 March 1848, although a fortnight earlier he had been punished for living in a state of adultery with a Margaret McGUIRE. An earlier transportee named James NEWLAND had arrived about ten years earlier but his age also does not match what is known of James. 10. NSW Marriage: 6987/1887 – As Florence L. NOWLAN – She was possibly marrying without permission.